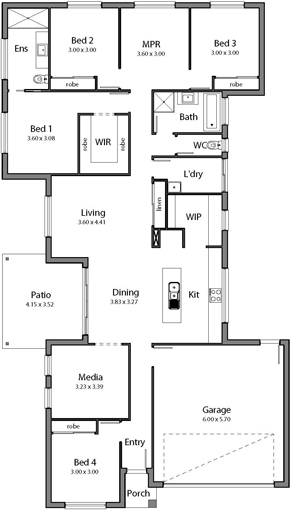 The Palm 219 has 4 bedrooms, 3 living areas open plan living with double garage and outdoor under roof patio. Contact out team to receive pricing and inclusions. I wanted to pass on my thanks to your team as we are very very happy with the level of workmanship and the finished product. Congratulations and well done.